Do you need a new roof installed on your home, commercial business, or barn in the Syracuse, NY area? A metal roof with steel, aluminum or copper shingles might be the best solution for you. Metal shingles are becoming a popular choice for those in need of a roof upgrade. They are the second most popular type of metal roof behind standing seam panels. In most cases, metal shingles cost less than standing seam metal roofs, yet deliver the same level of protection, longevity and durability. Metal shingles are an ideal addition for Colonial and brick houses as they preserve the authentic and traditional look and feel of those homes. With many different styles, colors, shapes and sizes of shingles available, they offer an attractive look for any structure – new and old. Contact Syracuse Metal Roofing today at 315-800-5716 for an in-person consultation and free shingle roof estimate – with no obligation. You might not believe it, but you have many options when it comes to choosing metal shingles for your home or business. The advancement of metal roof manufacturing in recent years has resulted in shingles that look natural and resemble wood, slate, tile and other materials. Your choices include galvanized steel, aluminum or copper with a wide range of protective paint colors. In addition to metal shingles, you can pick from metal shake and metal tiles for your roof. Installing interlocking metal shingles takes special skills and licensing, and most traditional asphalt roofers are not qualified to do the job. We are licensed, insured, and possess the experience and expertise to install your roof the right way – and up to your standards. Call us today for expert roofing service in Syracuse and Central New York. If you have a metal roof installed today, there’s a good chance it will last longer than you do. Asphalt roofs, on the other hand, generally are good for only 15-20 years. A metal roof will also likely increase the value of your home. 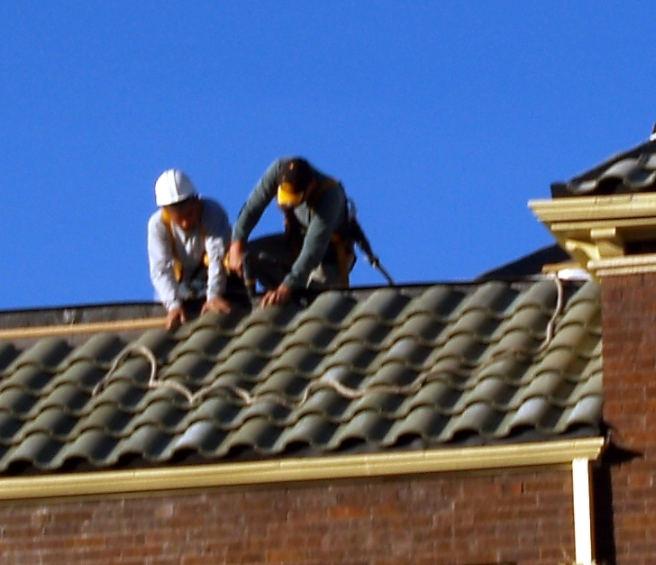 Just make sure it is installed by trusted and licensed roofer. Metal roofs reflect heat, and in doing so, reduce cooling utility usage during the summer months and insulate homes and buildings during the winter. You save money and help the environment. It’s a win-win. Most metal roofs carry long warranties – between 30-50 years and longer. That’s great news. With a metal roof, you’ll never have to worry about leaks, blown off shingles, torn shingles, and other issues that come with traditional asphalt roofs.